I am a creative director for a film and television production company with a legal background as an investigator. I have an interest in politics, defending our freedoms, protecting our constitutional rights and bringing light and or exposing political injustice, fakes, frauds and liars. I do not need this money any more than Christine Blasey Ford. 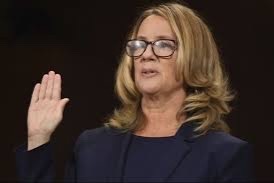 Unlike her, I would be using the donations to publish my findings, facts and opinions related to her claims against Justice Kavanaugh. Funds generated will also pay for a documentary to be produced on the subject matter. I also will offer an in-depth analysis of the political and media aspects, exposing the gross negligence and injustice that unfolded. The research for the publication has been compiled and is being put together. It takes money to get published and distribution for such a project. If successful, the world will have an entertaining and enlightening book to read and documentary to watch.